I'm a first time builder... which design? 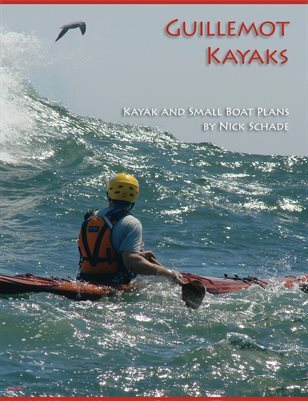 What boat for a beginner paddler? What boat for a large paddler? What boat for a small paddler? What do the little hand icons mean? I will only be doing day trips... which design? I want to do camping... which design? You are hereInformation / FAQ / What boat should I choose? This is probably the most frequently asked question and unfortunately, it is the hardest to answer. The right boat for you will depend on you. It depends on what you want to do, your experience level and your size. Before you ask for a recommendation you will need to think about what you need. Are you an experienced paddler who has gone out in all kinds of conditions, or are you someone who has never paddled before but want to build a boat? Do you like poking around in sheltered little ponds, or do you want to head out to an offshore reef? Are you building this boat for yourself or for a friend? Are your feet so big that you are already wearing boats on your feet, or are you so small that a fresh breeze blows you into the next county? I'm sorry I'm asking you all the questions when you came here looking for answers, but kayaks are like shoes or boots. The right kayak for you will fit you, some people need heavy-duty hiking boots, other people just want a pair of flip-flops. I don't want to recommend a pair of dancing shoes when you really want basketball sneakers. If you thought you were going to get your answer with the first item in this FAQ, I'm sorry but I'm going to duck the question and send you on to the other questions farther down the list. If you have determined some of the criteria you are seeking, you can take a look at the Details area of the Kayak Design pages to get some overview information about the different designs.